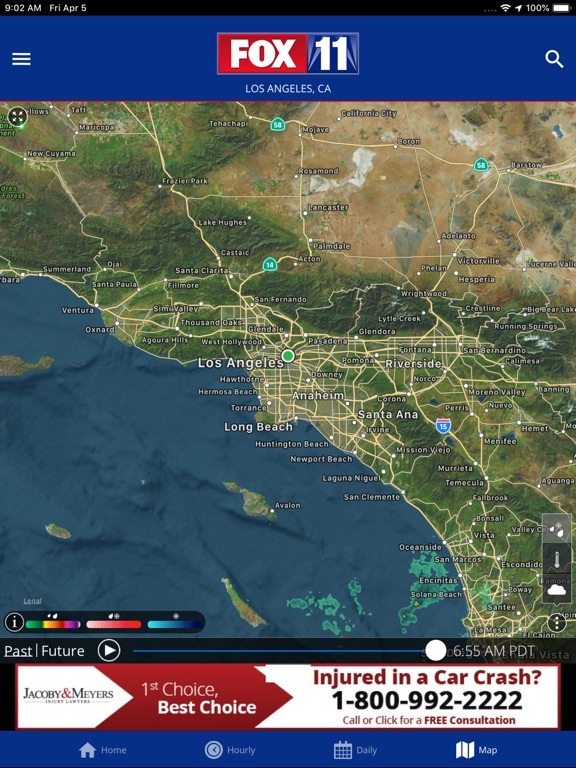 FOX 11 is your WEATHER AUTHORITY! 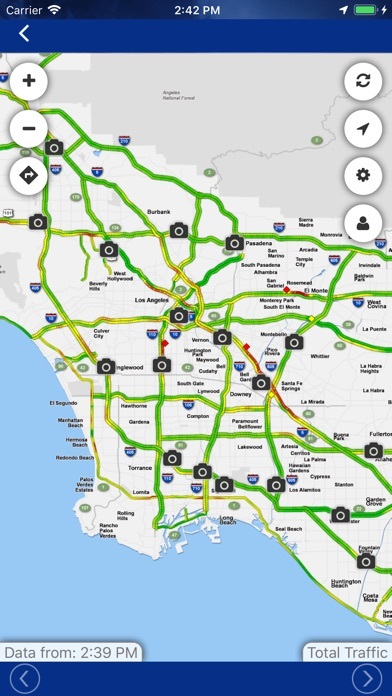 Our FREE mobile app has powerful features. 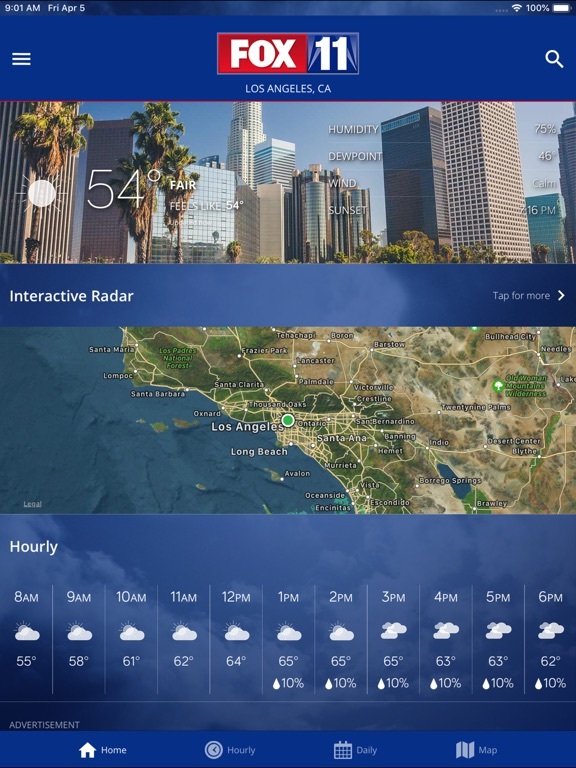 It starts with dynamic scroll functionality, letting you see all the most important weather features all on one page. 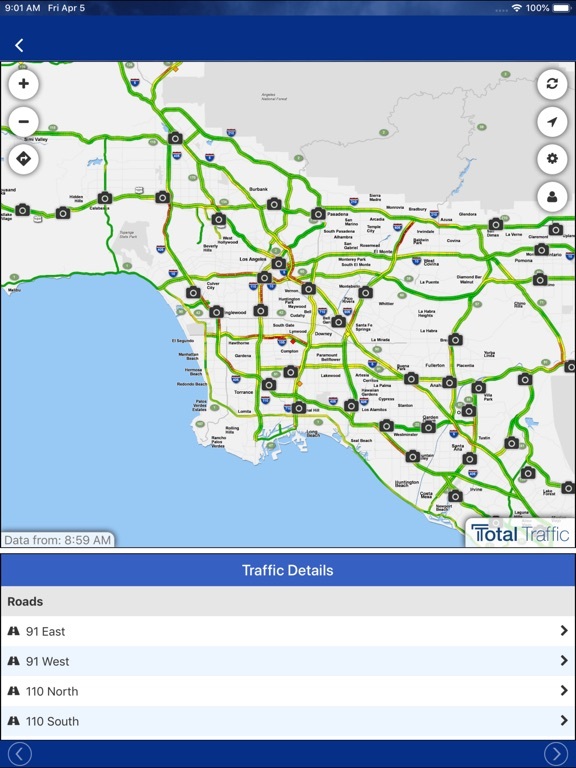 Current conditions, interactive radar map, daily/hourly forecasts, severe weather alerts, up-to-the-minute traffic, plus live streaming newscasts and replays from FOX 11 News are just a click away. 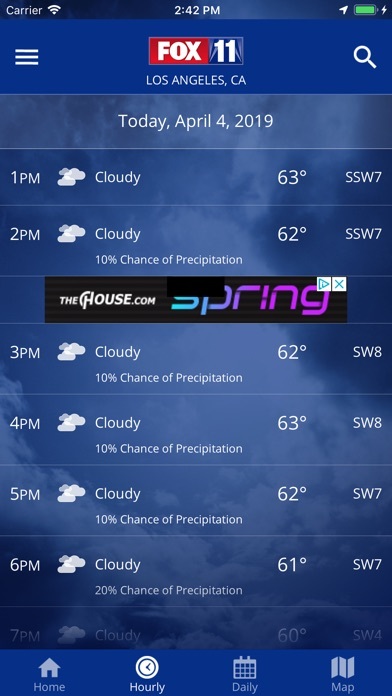 Plus, with fully integrated GPS functionality, you can personalize and track weather all over the world. 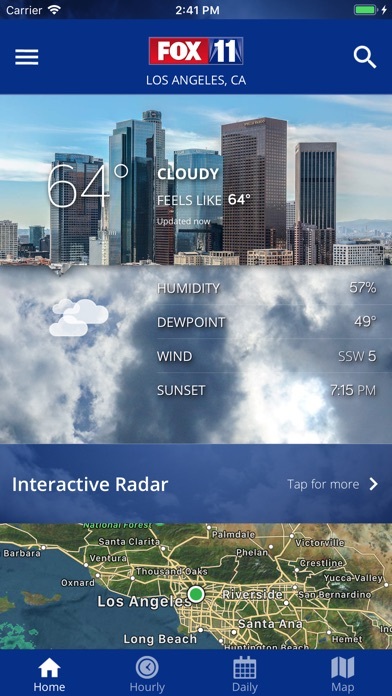 You can even share your weather photos with us anytime through the app, too! 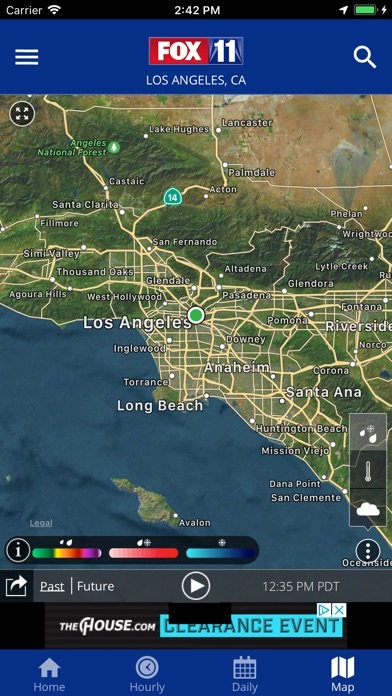 Experience the most comprehensive weather app for the greater Los Angeles area on your smart phone now! 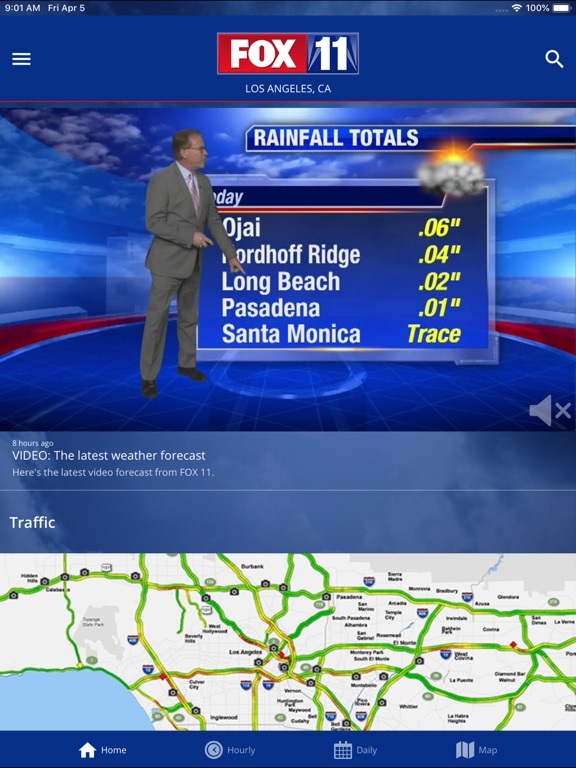 Why download the FOX 11 Weather Authority app? 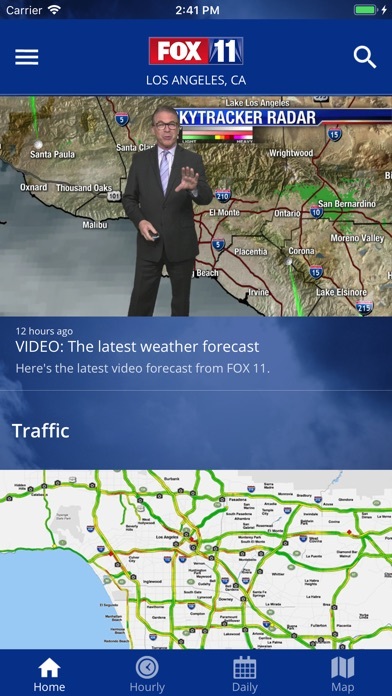 ° Share your weather photos and videos easily with FOX 11. 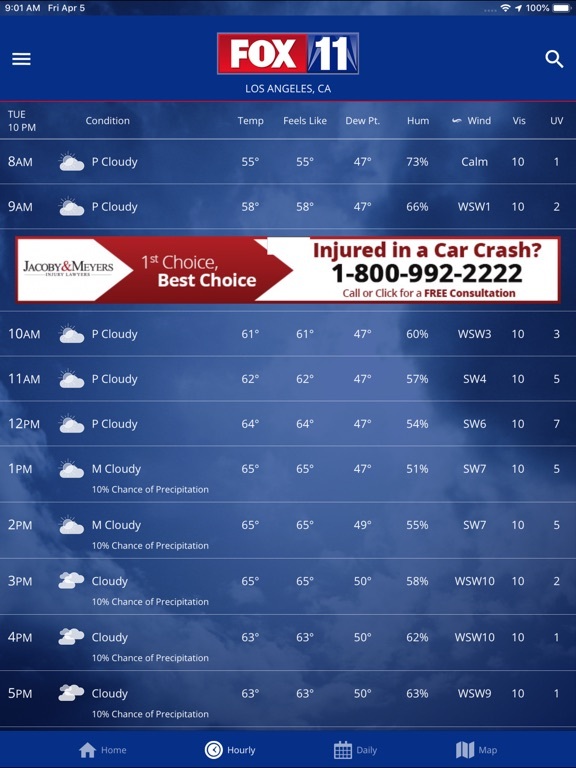 You could see your content on our newscasts!